Looks just like one - a rainbow, we mean. Misty, diaphanous and full of color. 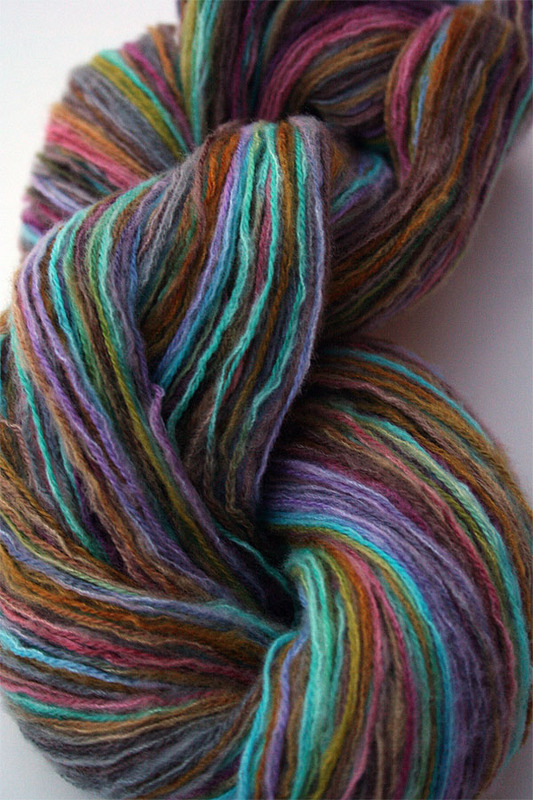 Lovely cashmer merino dk weight yarn shows all the colors in this palette wonderfully.